White oak paneling, doors, and floors wrap the room in woodsy warmth. Different stains create contrast. Tin ceiling tiles ordered online in a color called “copper penny” evoke a Montana saloon. Two green leather chairs from West Elm play off the jade quartzite hearth, while a just-the-right-size side table found at Paris on Ponce fits the masculine vibe. 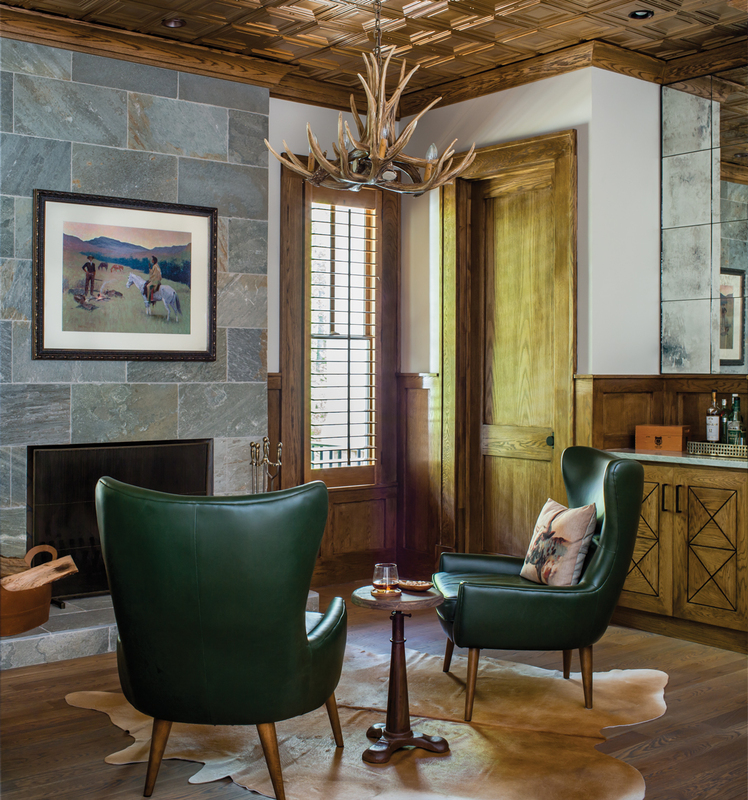 Western art, a chandelier made from shed antlers, and a cowhide rug provide the right ambiance. A built-in bar holds a myriad of bottles and glassware. Custom cabinets keep the stash tidy, but a few photogenic items are always on display.